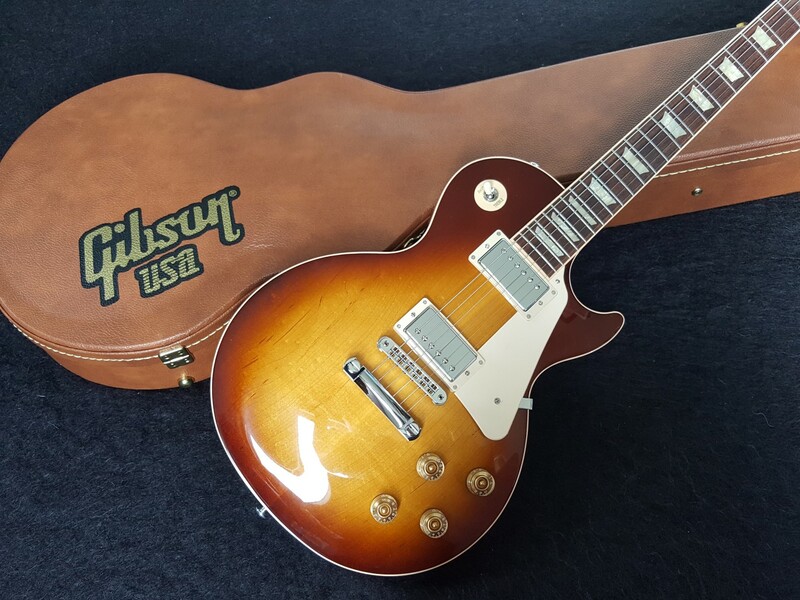 Gibson 2016 Les Paul Traditional gloss Plaintop, Tobacco Burst - limited run,slightly used, mint condition, I can not see a mark on it. Non-Weight relieved, made in USA. Mahogany Body, Maple Top, Mahogany Neck, Rosewood Fingerboard, and 2 Humbucking Pickups. No Auto Tuner.